﻿ Chicago Hispanic Newspaper, Lawndale News, Hispanic Bilingual Newspapers, Su Noticiero Bilingue » April is Child Abuse Prevention Month. Everyone Has a Role to Play. 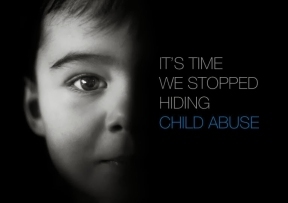 April 25, 2019 4:44 am You are here:Home Business April is Child Abuse Prevention Month. Everyone Has a Role to Play. April is Child Abuse Prevention Month. Everyone Has a Role to Play. Posted by Editor on March 30, 2017 in Business | Comments Off on April is Child Abuse Prevention Month. Everyone Has a Role to Play. The public is invited to join the Illinois Department of Children and Family Services, Prevent Child Abuse Illinois, other child welfare stakeholders, elected officials and more for a month long observance that is a public call to action during National Child Abuse Prevention Month in April. It is estimated that thousands of cases of abuse go unreported every year. The impact of abuse on children manifests itself in many ways. 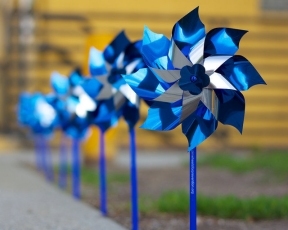 During the month of April and throughout the year, Illinois DCFS encourages communities to share child abuse and neglect prevention awareness messages and to help promote prevention efforts across the country. To heighten awareness, Illinois DCFS will host events across the state to mark the occasion. All events are open to the public. For more information about the events, and to learn how you can help, call the Illinois DCFS communications office at 312-814-6847. Blue ribbons will be handed out to the public. The exhibit will feature art from children who are currently in care, or have been in care, and by artists who have been affected by child abuse. Blue ribbons will be handed out to the public.